Afghanistan batsman Rahmat Shah has made quick progress in the MRF Tyres ICC Test Player Rankings after starring in his side’s seven-wicket victory over Ireland in the one-off Test played in the northern Indian city of Dehradun. Yamin, Rashid, O’Brien and Murtagh others to gain after Dehradun Test match. The 25-year-old has advanced 88 places to reach 89th position in the rankings after scores of 98 and 76. 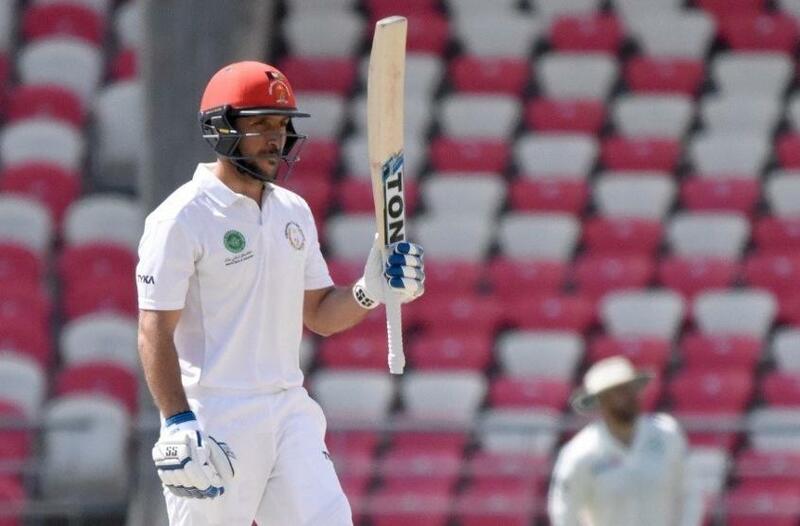 The player of the match in his country’s second Test is now the highest-ranked batsman from his team, ahead of captain Asghar Afghan, who is in 106th place after gaining 24 places with a knock of 67. Hashmatullah Shahidi is another Afghanistan batsman to advance, moving up three slots to 110. Fast bowler Yamin Ahmadzai and leg-spinner Rashid Khan have made rapid strides in the bowlers’ list. Yamin, who grabbed three wickets in Afghanistan’s inaugural Test against India last year, has gained 45 places to reach 50th position after finishing with six wickets in Dehradun. Rashid, who is top-ranked in T20Is and third in ODIs, has gained 50 places to reach 67th position after claiming seven wickets including the first five-wicket Test haul by an Afghanistan bowler. Remarkable Rahmat, resplendent @rashidkhan_19 clinch historic Test win for Afghanistan as they beat Ireland by 7 wickets to secure the team’s first-ever win in Test cricket. For Ireland, Kevin O-Brien has moved up four places to 68th while fast bowler Tim Murtagh has also gained in the list for batsmen after a rare Test half-century batting at No.11, his scores of 54* and 27 lifting him 59 places to 140th. 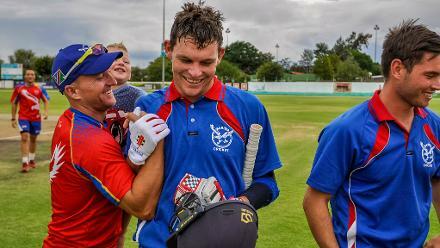 Debutant Andy Balbirnie has gained 73 slots to reach 145th position after a second-innings knock of 82 while among bowlers, Stuart Thompson has gained 18 slots to reach 64th position after taking three wickets in the match. The second Test for both teams meant a step towards a full place in the MRF Tyres ICC Test Team Rankings, for which they need another six matches. For more information on player rankings, please click here.